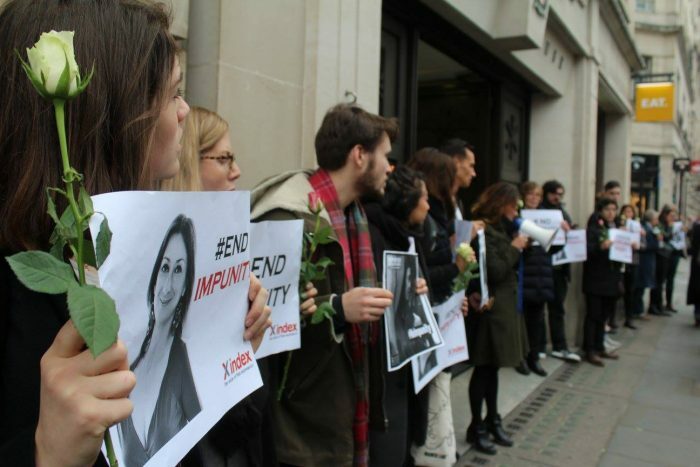 On 2 November, the International Day to End Impunity for Crimes Against Journalists, Index joined activists and five other organisations for a vigil outside the High Commissioner’s Office of Malta for murdered journalist Daphne Caruana Galizia. 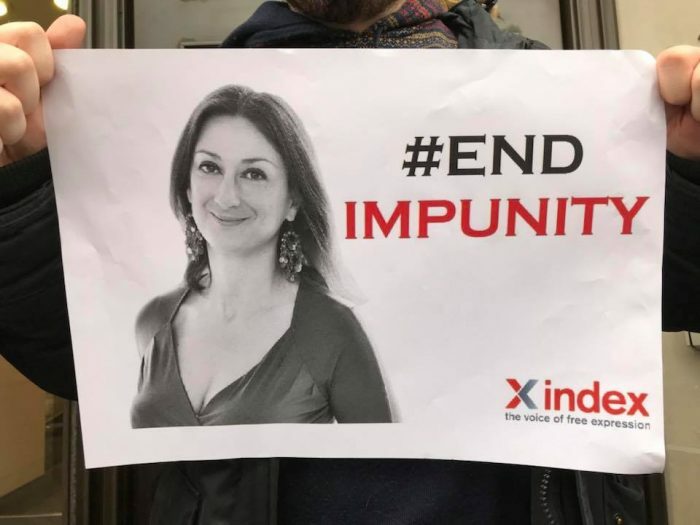 Caruana Galizia was one of the best-known journalists and bloggers in Malta, recognised for her fearless reporting on controversial information surrounding government corruption. On 16 October 2017 Caruana Galizia was murdered in a car bomb attack near her home. Galizia’s blog, Running Commentary, often generated more readers than all of the country’s newspapers combined. At the time of her death, over 40 libel suits had been taken out against her. According to her son, death threats were almost a daily occurrence. Protesters called on the European Union to hold the Maltese government accountable and to further investigate corruption in the EU. 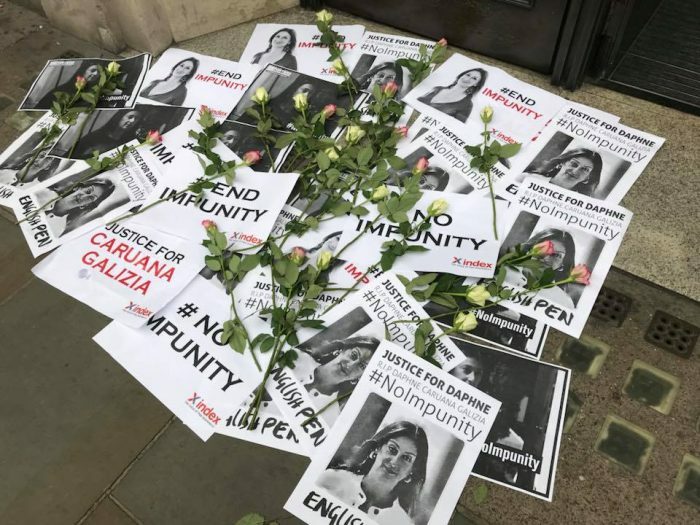 Attendees of the vigil held signs with the words #EndImpunity and #NoImpunity, chanted and read aloud articles published by Caruana Galizia. “This shouldn’t silence her. This should fuel people to carry on her work,” Melanie Vella, said. Vella is from Malta and has written pieces for the Malta Times. 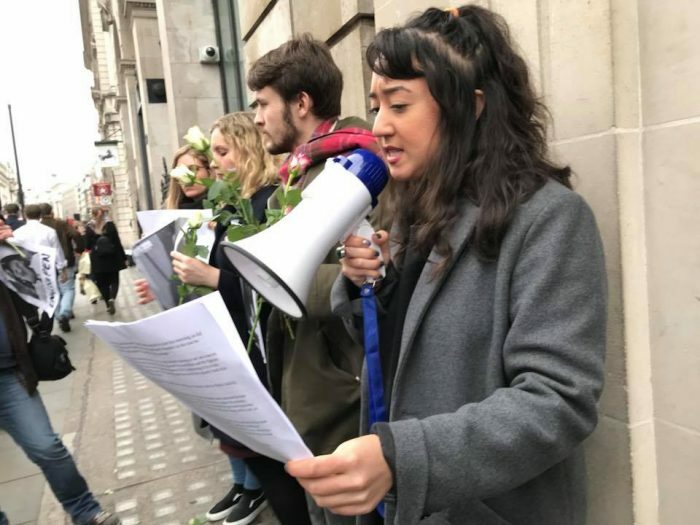 The vigil in London was attended by many concerned Maltese journalists. 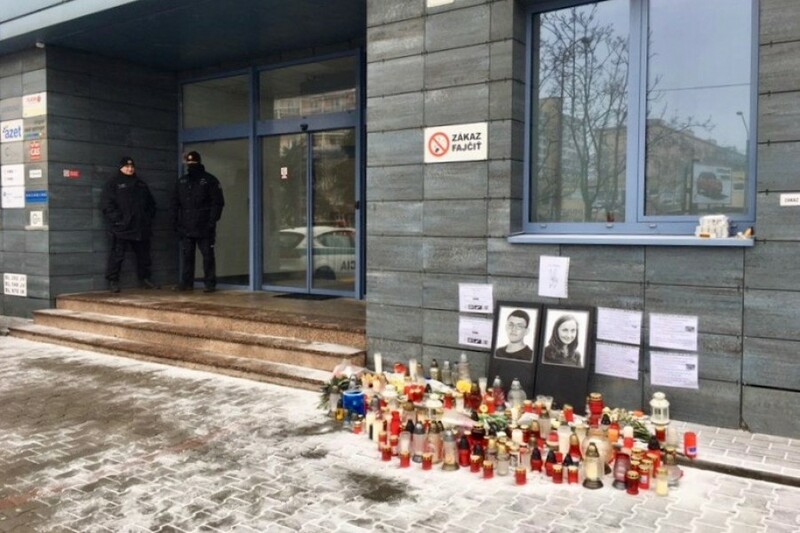 Across Malta, Caruana Galizia’s death shocked citizens. Caruana Galizia’s work is sure to continue to inspire activists of free expression in Malta and worldwide. 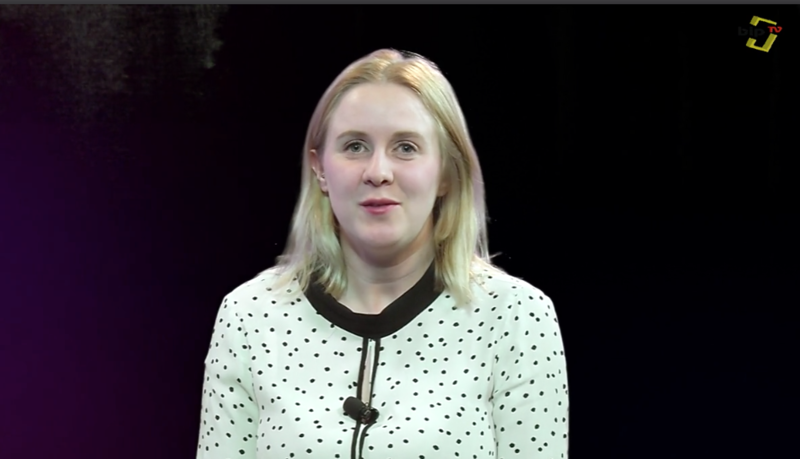 Index on Censorship’s Mapping Media Freedom project will come to an end in its current form on January 31 2019.